Welcome to the 15th year of Torah Portion Humor! OY!!! Shabbat Shuvah (Saturday) Torah reading: Ha’azinu, Deut. 32:1-32:52. Haftarah: Hosea 14:2-10, Joel 2:11-27, Micah 7:18-20 (general Ashkenazi practice – your shul may vary). Sunday is Tzom Gedaliah, a minor fast day (dawn to dusk) commemorating the assassination of a righteous Jewish governor of Israel, appointed by Nebuchadnezzar, on 3 Tishrei around 581 BCE. This set back the possibility of Judean autonomy several decades. 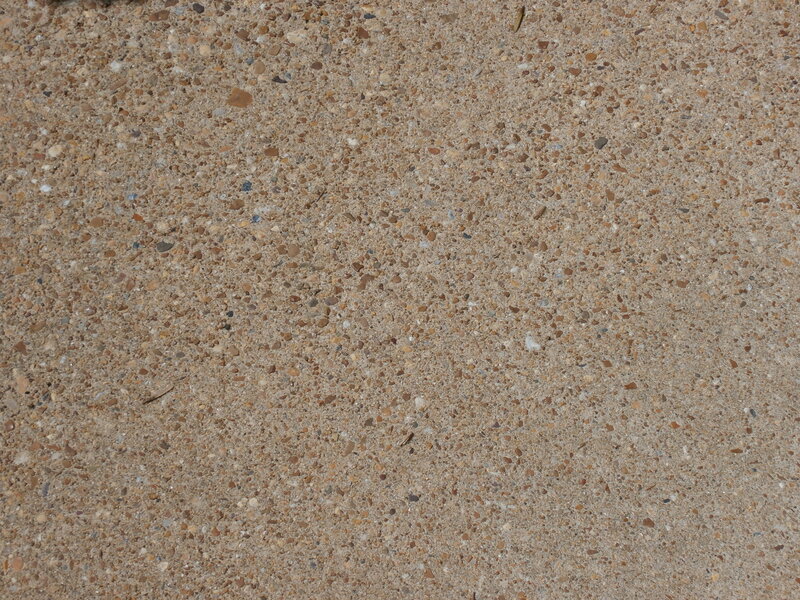 I never realized how pretty and variegated our concrete is. For the 32 years we’ve lived here, it appeared to be a simple, homogeneous light gray. I thought that was its natural appearance. Then we had the house power washed (also the deck, which still has to be stained), and that included the front walkway. All the heretofore unrecognized shmutz came off, a renovation that highlighted the multicolored surface of that concrete. It is now not only clean, but pretty, something I enjoy looking at. That’s really what we hope for at a new year, isn’t it? We want to feel renewed and refreshed. The shofar is blown to get our attention and wake us up. We want to feel hopeful as we look forward, even as we weigh the year just past. And so we eat apple and honey (if you haven’t seen this video yet, go to http://www.youtube.com/watch?v=1ym7Airptw4&feature=share to see how they dip apple in honey at the Technion) and round challah (I like raisin) to symbolize sweetness and wholeness and completeness. We toss bread crumbs into a stream (Tashlich) to symbolically get rid of our sins. We reunite with family at home and at the synagogue with our friends there, catching up (without disturbing the services, please!) with the latest news of our families. One would have expected the readings for Rosh Hashanah to reflect the cosmic themes of the holiday, like judgment and creation. Instead, they include intimate family stories with a special emphasis on motherhood. The main Torah reading for the two days is one continuous selection, in which Sarah gives birth to a long-awaited son, Isaac; protects Isaac by having Hagar and Ishmael banished; and almost loses him as a burnt offering. Hagar, Sarah’s pre-Isaac surrogate, is given water and hope for her and her son in the desert. In the haftarot, long-barren Hannah gives birth to Samuel and dedicates him to the Lord’s service; and, in Jeremiah’s touching imagery, Rachel weeps for her children, the Israelites trudging into exile. The Shabbat Torah reading is Ha’azinu, a short portion that includes the long poem (or song) by Moses that we read about last week. It is a capsule history of Israel and also testifies that Israel “will suffer Divine reproof,…but that God will forgive us our sins and repay our enemies for His name’s sake” (Nachmanides, as cited by Nehama Leibowitz, Studies in Devarim, p. 327). The three-prophet haftarah is always read on Shabbat Shuvah (return), the Sabbath between Rosh Hashanah and Yom Kippur, and it appropriate contains themes of repentance and redemption as we progress through the 10 Days of Awe. Yes, Rosh Hashanah is really, REALLY early in September this year. Apparently, the last time Rosh Hashanah came this early was 1899 and the next time will be 2089. This has nothing to do with global warming. Two fish are looking at a slice of white bread sinking in the water. Type a few words into Google’s search bar and you’ll see four predictive suggestions pop up in the space just below. It’s a bit of technology the search giant calls Google Instant: “a search enhancement that shows results as you type.” It was developed with the intent to help users get faster and better search results, because, the company says, people read more quickly than they type. What it wasn’t intended to do was make Google a poet. But it has—and a quite good one, at that. If you were to type “what does it If you were to type “what does it …” into the search box on a recent Friday afternoon, Google might have suggested the following queries, based on previous search activity by real-life Google users. Read the lines aloud with conviction, a touch of pensive melancholy or even theatrical gloom, and the randomness of the four phrases suddenly fades away, replaced by something intentional-sounding, like, well, poetry. A ba’al tshuvah (newly observant) house painter was meeting with his Rebbe during the Days of Awe, and wondering how he could correct his previous misdeeds. This entry was posted in Uncategorized and tagged apple and honey, Deuteronomy, Devarim, Ha'azinu, Hagar, haiku, Hannah, Isaac, Ishmael, Moses, motherhood, Rachel, Rosh Hashanah, Samuel, Sarah, Shabbat Shuvah, shofar. Bookmark the permalink.